After the EU floundered in its initial response to the Arab Spring, it now has to reconsider some of the fundamental tenets of its strategic approach to the Middle East. As the Middle East’s stability was wrought asunder by the Arab Spring uprisings, so were the premises upon which European policy in the region was predicated. The European Union (EU) was largely absent from the initial flourishing of the Arab Spring, but that did not lessen the importance of the challenges presented by continued tumult in the Middle East. Europe had to delineate new strategies for responding to ongoing reform processes. At the same time, the shaping of a new Arab world had a significant impact on Europe’s own strategic and economic interests. In Europe in the New Middle East: Opportunity or Exclusion?, Richard Youngs examines the EU’s response to the Arab Spring from late 2010 to early 2014. His book investigates how far the EU changed its policies toward the Middle East and North Africa in the aftermath of the uprisings and what impact European policies had on democratization reforms during this period. 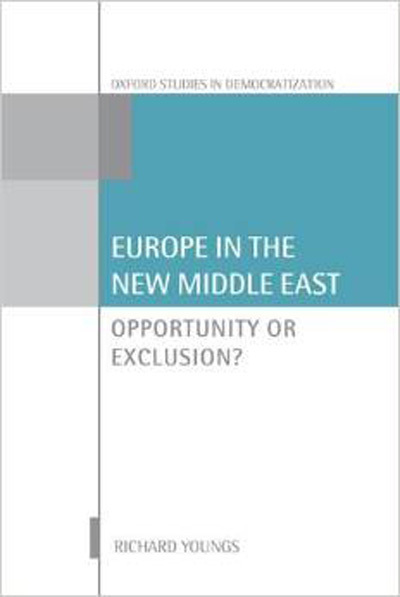 Youngs also charts the impact of changes in the Middle East on the European strategic interest calculus. Youngs concludes that after 2011, European policy became more reformist, in a measured and low-profile fashion. The EU attempted to support reform processes in a more sensitive and effective way. However, as instability grew, many aspects of European policy took on a more strategic and realpolitik tone. Whether these trends have set the scene for a period of more benign relations across the Mediterranean will only gradually become apparent.